Salver + Salver has been providing quality, personalized financial guidance to local individuals and businesses since 1987. Our expertise ranges from basic tax management and accounting services to more in-depth services such as audits, financial statements, and financial planning. Our mission is to help clients maintain financial viability in the present, while taking a proactive approach to achieve future goals. This requires open communication to reach an understanding of our clients' needs through research and sound analysis. Salver + Salver is dedicated to meeting these goals with high standards of excellence and professionalism. We have been a staple of the area's business community for years, and pride ourselves on the level of esteem we have earned. Our dedication to hard work has earned the respect of the business and financial community in and around the area. We believe this to be a direct derivative of our talent and responsiveness to our client base. Whether you are a current or prospective client, rest assured that individuals and businesses who choose Salver + Salver receive competent and timely advice. Isaac is a CPA in Bay Harbor Islands that stands ready to serve your needs. 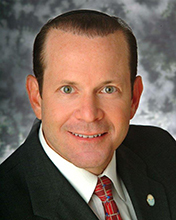 As a Councilman and former Mayor of Bay Harbor Islands, Isaac has a unique understanding of finance and tax legislation. Isaac Salver is committed to delivering accurate and timely services at every phase of our engagement. From the largest audits and legal cases, to the most common tax filings and business consultations, we take care of all the details so you can turn your focus back to where it belongs – your business. Born in Brooklyn to immigrant parents, Salver was brought up in Miami Beach. He attended South Beach Elementary School, Nautilus Jr High School, and Graduated from Miami Beach High School. After finishing his graduate studies he began his career in International Banking and Finance. He changed careers after becoming a CPA in 1985.During that time Salver was active on the City of Miami Beach Young Professionals Committee and played an active role in the revitalization of Lincoln Road. Married to Bahee, they have three sons Seth Elijah and Jesse. Appointed to the Board of Directors of Miami-Dade County League of Cities – Elected President – 2005, served on the Executive Board since 2002. Seth began his accounting career in 2010 at PricewaterhouseCoopers LLP (PwC) in McLean, VA. Seth’s experiences at PwC included audits of large multi-national corporations. 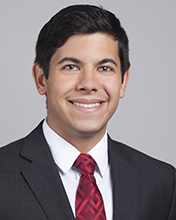 In 2012 Seth transferred to the Miami office where he was promoted to Senior Associate. Seth brings with him “Big 4” accounting experience which will allow us to better serve the needs of our clients. Seth and his wife Perla, an elementary school teacher, are active members of the community and enjoy working with and volunteering for various organizations in South Florida. In November of 2014 Seth was elected to the Bal Harbour Village Council. Seth received his Bachelors of Science with a Major in Accounting from the Robert H. Smith School of Business at the University of Maryland, College Park. Seth is licensed as a Certified Public Accountant in Florida and Virginia and a member of the American Institute of Certified Public Accountants (AICPA). Bahee specializes in matters involving taxation of foreign persons. As a Certified Acceptance Agent, she is able to expedite applications for Individual Taxpayer Identification Numbers (ITIN), by certifying passports in our office. 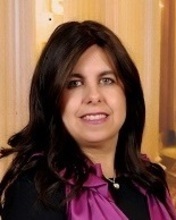 Bahee leads our Foreign Investor Practice and deals with realtors and closing agents on a regular basis ensuring compliance with the US Tax code. The youngest child of Cuban immigrant parents, Bahee lived in Puerto Rico until she was eight years old, when her family moved to Miami Beach. Bahee attended Miami Beach Senior High School and graduated with a Bachelor of Business Administration from Florida International University. As a Registered Tax Preparer Bahee maintains current on tax law changes effecting our clients.